The Competition Series is Ford GT’s answer to boutique track-day versions of popular supercars such as the Porsche 911 GT3 RS and Lamborghini Huracan Performante. 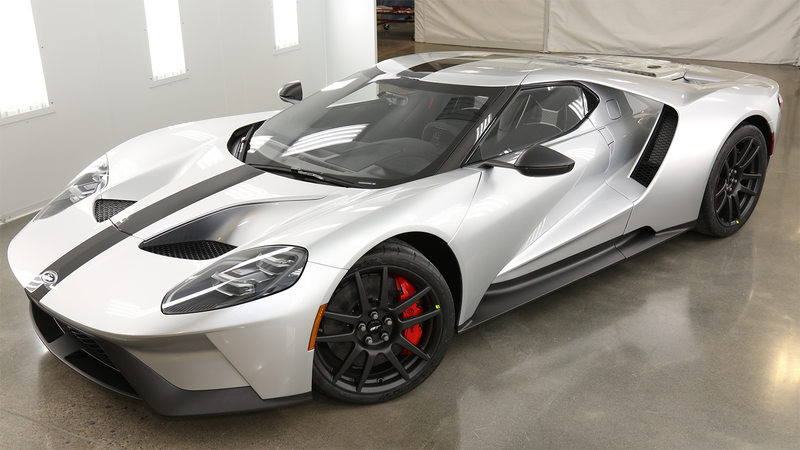 The GT Competition Series features air conditioning and radio deletes, bare carbon in the door sills, dashboard and exterior stripes, carbon fiber wheels with matching titanium lug nuts, and titanium exhaust tips. You can read the more complete list of specs here. For now, feel free to ogle the pictures that will get you up close to a car most of us will never see, but will likely be on the bedroom walls of kids across the world for years.